You may have noticed I’ve been gone for about a month. I’ve still been on keto, I just haven’t taken the time to blog. The month had its usual ups and downs. Lots of stress, way too much to do and solve, but the keto habit remained ingrained. I had a few cheat meals, felt some remorse, jumped back on. Since the last blog, I’ve lost another 3 pounds. I’m always happy to lose, but always look for that next highlight…this one is, of course, the 40 pound mark. I hope to reach it by Saturday (my son’s wedding day, BTW), but if I don’t then I’ll just keep plugging away. As I think of any highlights, or low lights, of the past month, I’ll post them and try to catch up. Yesterday’s meals were nothing great. I have strep throat and I’m on antibiotics. I just don’t have much of an appetite, but I started the day with a low carb yogurt just to have something in my stomach. Lunch was way off the wagon – 2 beef chalupas and an order of nachos from Taco Bell. Dinner was on track: chicken kabobs on a low carb bun. 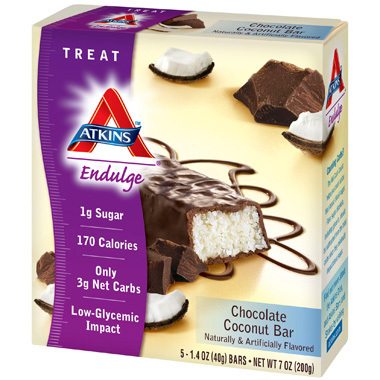 I had an Adkins candy snack in the afternoon. In the evening, I had 2 glasses of wine sitting outside on a beautiful summer evening my hubby. Oh, and some Dubliner cheese with the wine. Challenges to face this week: Luncheon at Macaroni Grill, rehearsal dinner at Traffic Jam, and WEDDING! I’ve had cheat meals, and I’ve had cheat days. Is there such a thing as a “cheat week”?? Dinner: Brandon wanted to go to Red Smoke in Greek Town. I knew up front that this was going to be a cheat meal. I had the pulled pork which comes on Texas toast. I chose mac and cheese as my side order. The meal also came with jalapeno corn bread. There were a half dozen bbq sauces from which to choose. I tried them all and my 2 favs were the poblano and the cherry bbq flavors. At the end of the meal, I felt giddy and light-headed. I think I was actually drunk on carbs. I didn’t drink anything harder than water, so it could only have been some kind of carb effect. The meal was delicious. The conversation flowed. Afterwards, someone had the bright idea to get ice cream (me) and I had one scoop of chocolate peanut butter. When I returned home, I crashed and tumbled into bed. I certainly got any carb cravings out of my system. I seriously do not want to eat like that as a habit, which would have been my normal future. I feel better and more energetic on keto, and I look forward to formulating new and exciting menus and getting back to the plan.